The company is a reliable manufacturer; exporter and supplier of Brass Dolphin Family Key Holder from Aligarh, Uttar Pradesh, India. We supply the product all across the globe. Made from high-grade resources our product is recognized for its sturdiness and beauty. Our product in various sizes. 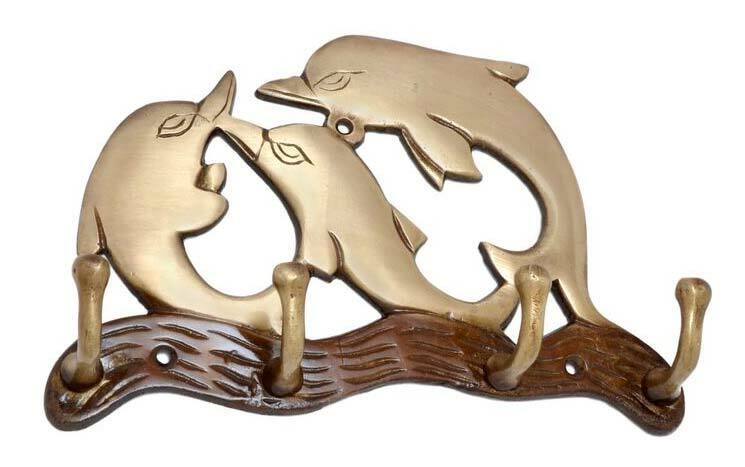 We make available bulk quantities of Brass Dolphin Family Key Holder at inexpensive rates. Moreover, we ensure zero defects of our ordered products before the final dispatch of the lot.